Why You Should Try It, if you haven't yet. It is a very creative and fun medium! It mimics other materials; wood, metal, ceramic etc. It's safe, much of it can be used by kids. It doesn't require a lot of expensive equipment or special workspace. It can be made just about any size you want. In most ways it is very forgiving, can be changed easily, cut, ripped apart and reassembled. Its use for these things changed after the invention of plactics. 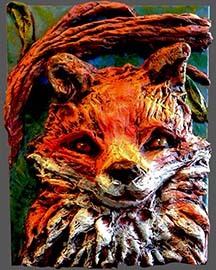 Paper Mache continues to be used for stage props, masks, puppets, home decor, containers of all kinds and of course art. Paper Mache has been more popular in other countries, particularly Mexico. 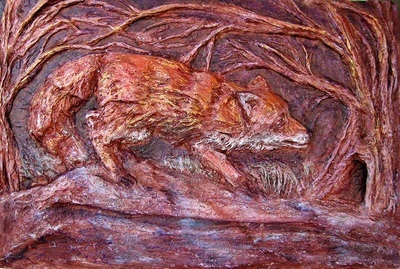 I have created many 3D Sculptures but reliefs are not as widely covered as 3D work. 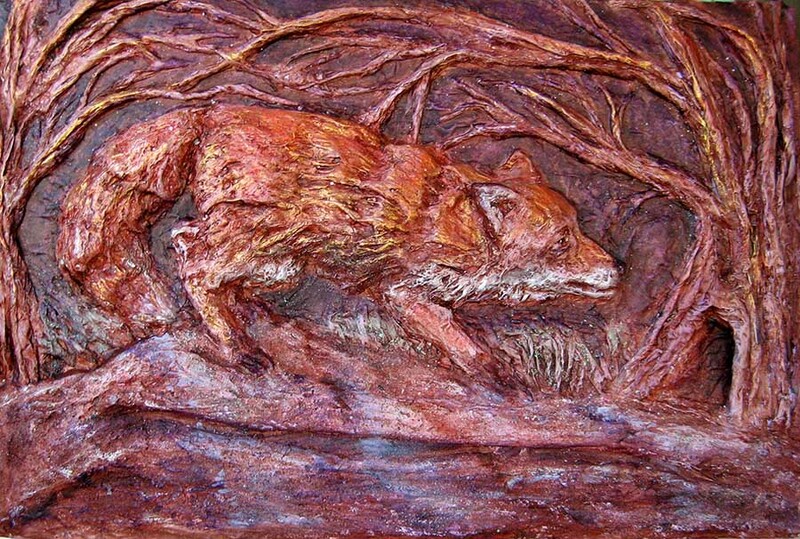 Reliefs are often narrative and that is one reason I like them so much; they tell a story. In the past they have been used to tell the history and mythology of many cultures. 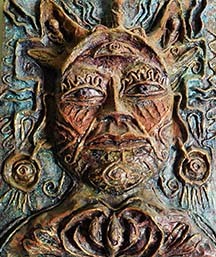 Check the blog for demos and other materials on relief sculpture.